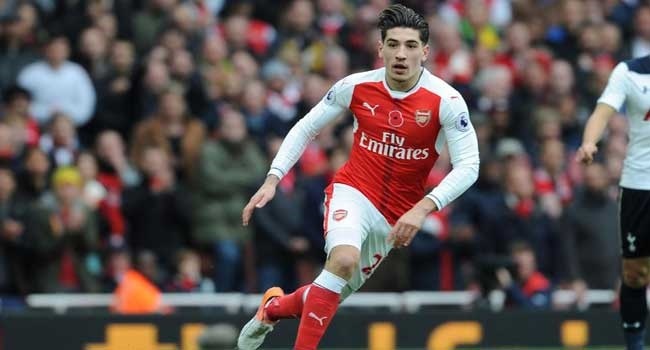 Arsenal manager, Arsene Wenger, comes to the defence of his Spanish right back, Hector Bellerin, who has been heavily criticized by fans over his recent performances. Hector Bellerin is a "genuine Arsenal guy" who doesn’t deserve the stick he got at Crystal Palace, according to Arsène Wenger. The Spain international was on the same side as the away fans during last Monday's 3-0 defeat to Crystal Palace and, as a result, was in the firing line when the fans voiced their disapproval. It's not clear whether Hector was singled out but, either way, Wenger thinks he deserves a break after struggling to find his best form after an ankle injury. "I think it’s unfair because he’s a guy who is genuinely Arsenal and wants to do well," said Wenger. "I agree that for a while he was not the Hector Bellerin we had seen at the start of the season. He has not come back to his level since he has been injured. "Then you get bad habits and you forget that your job first is to defend and win challenges because you protect yourself a little bit. "I think now he is trying to focus on again what is important, to defend well. After he can give us the extra bit [going forward] that is important as well. "The fans want to be behind the team and the way we respond on the football pitch will decide the attitude of the fans. The fans love the club. "It's a good period to be united and not divided. Historically Arsenal has been about that. One of our values is to be together. There's no better period of the season than to show it now."